This is BIG ! Asias Largest Dance Music Festival "SUNBURN FESTIVAL" ! 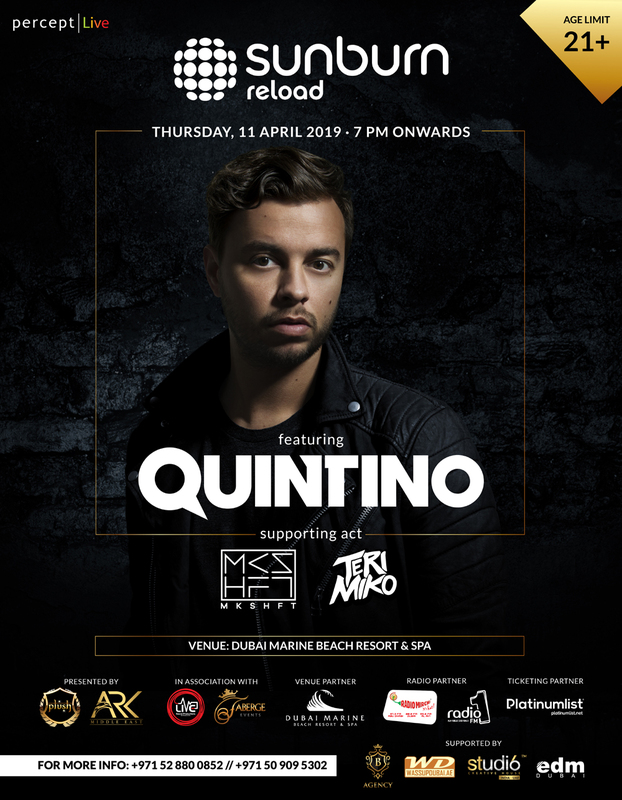 QUINTINO Live at Sunburn Reload Dubai on Thursday 11th April 2019 at Dubai Marine Beach Resort & Spa. Supporting Acts: Teri Miko & MKSHFT. Get your Early Bird Tickets from PlatinumList.Net ( Direct Link: https://tinyurl.com/sunburndubai ). For more info call 052 880 08 52 / 050 909 5302.